Manufacturer & Exporter of Coaxial Cable. 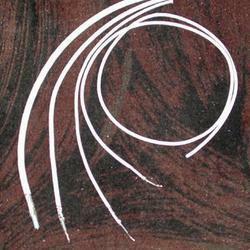 Our product range also comprises of PTFE Hook Up Wires, PTFE Cables and Thermocouple Wire. We offer an extensive range of RF Coaxial Cables that comes strictly in accordance with JSS-51100/MII-C17 standards. The cables have the capability to perform under varied weather conditions and are chemical resistant. We offer the range in broad temperature range from -200 degree C to 200 degree C. Our range is user friendly and have versatile capability..